In 1984, the first Nambe holiday ornament was introduced, and today the tradition continues with a variety of meaningful designs. Commemorate the year's special moments with the 2017 Glass Annual Dated Ornament. Watch as its three dangling glass pieces radiate in the light. 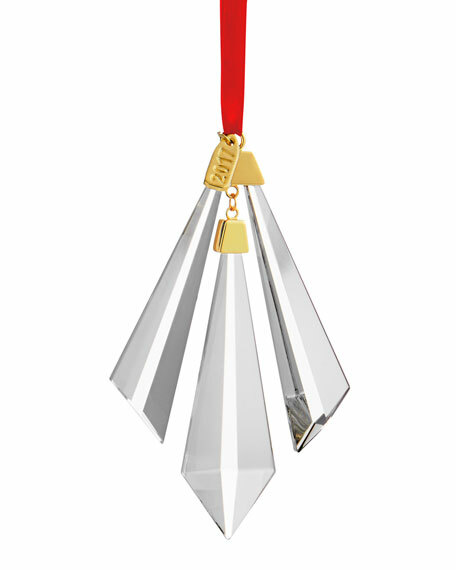 Christmas ornament in crystal and Nambe signature metal alloy. For in-store inquiries, use sku #2405259.